Employers have a long history of trying to classify employees as independent contractors rather than employees. The reason for this is that the company is not required to pay Social Security for independent contractors it hires, the company does not have to provide the workers with benefits, and the company is not automatically liable for any negligent acts committed by independent contracts, as it would be with employees. In Craig v. FedEx Ground Package Sys., Inc., an appeal heard in the Supreme Court of Kansas, involved a number of class actions suits filed across the country by current and former delivery drivers who worked for defendant. Drivers were seeking a judicial determination that they were entitled to all costs and expenses they spent while working for defendant and repayment for all overtime wages that they were never paid. Drivers claimed they were entitled to this relief under both state and federal employment law. Both parties filed cross-summary judgment motions. As our attorneys in Orange County who handle employee misclassification matters can explain, a motion for summary judgment is a essentially a claim that, even if all evidence is viewed in the light most favorable to the nonmoving party, there is no case for the jury to decide. If the motion is granted, the case, or some of the claims, will be dismissed. In Craig, the District Court determined that drivers were independent contractors and dismissed the cause of action. Drivers filed an appeal. On appeal, the court looked at the issue of whether drivers were employees and not independent contractors. The court noted the “control test” was most useful in making a determination but was not dispositive. The court also noted that the operating agreement created by defendants clearly established that drivers were independent contractors and not employees. However, as the court also noted, this agreement was made in such a way as to benefit the company by finding the drivers not to be employees. Using the control test and the “economic reality” test, the court looked at the degree of control exerted by the alleged employer, workers’ opportunity for profit and loss, workers’ investment in the business, skill required of the workers, and how essential workers were to the employer’s total operations. 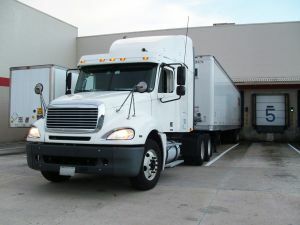 The court considered the fact that drivers were required to wear company uniforms, use company scanners, company forms marked with their logo, trucks obtained from company authorized providers and financed through the company with payments deducted from their weekly paychecks, drivers’ supervisors scheduled deliveries without consulting the drivers, and other similar controlling factors. Further citing the California Court of Appeal, the court held that defendant’s conduct spoke even louder than their words as it exercised what amounted to total control over every aspect of drivers’ work. Ultimately, the court found that drivers were employees and not independent contractors.